Sure, we've all got beers that define our personalities, but how can you really know who you are unless you explore more options? Beer fests are like college for drinking (well, college is college for drinking too), places where you can experiment with your tongue while meeting drinkers from all over the world. 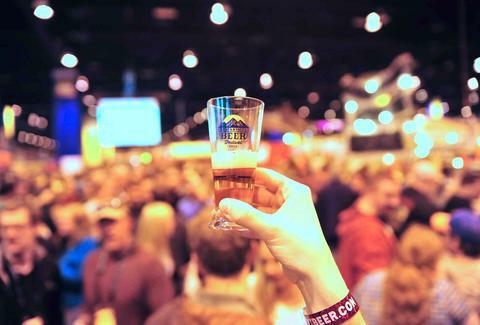 Like good college counselors, we've narrowed down the massive lists of US beer fests to help you expand your knowledge. And your waistline. You may think this is one of those newfangled weed-pairing events, but this isn’t Colorado. Every year, Asheville throws together two things it has (legally) mastered: banjo-filled bluegrass and craft pints. Over the fest's 17yrs, musicians like Yonder Mountain String Band, the Carolina Chocolate Drops, and the Infamous String Dusters have taken the stage while nationally known breweries, like Stone, pour alongside local guys like Altamont Brewing Co. and Hi-Wire Brewing. For 7yrs, major beer-rating site Beer Advocate and Harpoon Brewery -- that other massive craft brewery from Boston -- have teamed up for a beer-filled summer kick-off that helps wash away the bad taste from another Celtics season. Last year, over 140 brewers filled booths at Seaport World Trade Center and poured over 600 craft brews throughout three tasting sessions. The moniker implies south of the Mason-Dixon exclusivity, but here West Coast and East Coast breweries like Lagunitas and Brooklyn mingle along the Tennessee River with reps and brewers from the Deep South, the most recent region to experience a craft brewing boom. 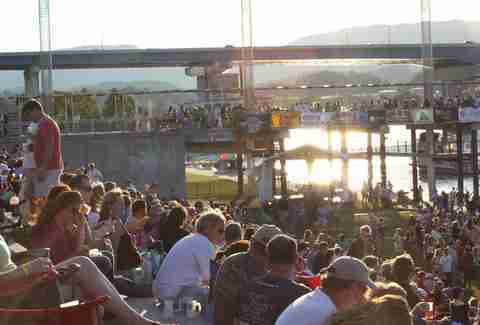 Folks like Asheville’s French Broad Brewing Co. and Nashville’s Jackalope Brewing Co. pour brews throughout a jammy musical line-up -- last year's included Galactic and Robert Randolph & the Family Band. 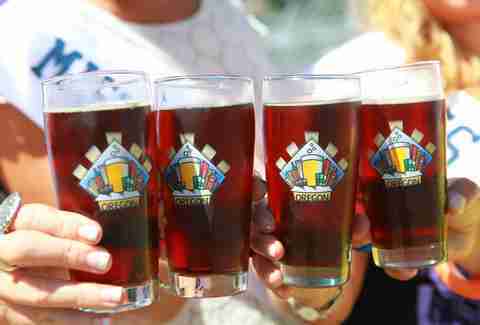 The 32yr-old beer celebration features a whopping 83 styles of beer each year. Pouring everything from barleywines to barrel-aged sours, it's the largest selection of US beer served in one place. 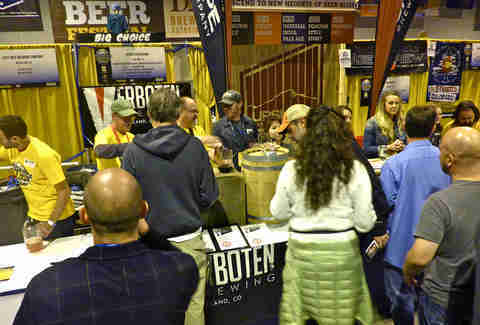 It's so big, the organizers made a map so you can find brewers like Boulder Beer Company or Philadelphia's Dock Street Brewery in the beer-maze of the Denver Convention Center. The weekend also features an impressive line-up of American-made cheeses, a hop-friendly bookstore, a food pairing area, a Homebrew Marketplace, and a DD lounge for your super-awesome friends who secretly hate you for bringing them (Hint: Buy them some of that cheese). For four weekends throughout the year, All About Beer Magazine encourages people to stop being nerds who read about beer and start being nerds who experience it. 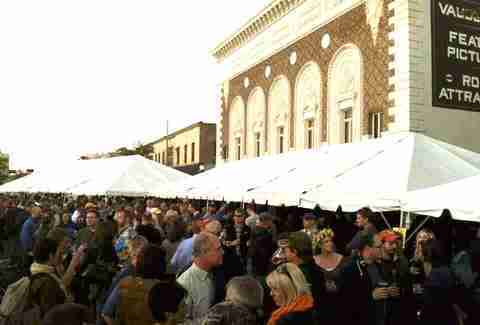 Each city-fest has two 4hr sessions, and ticket holders can swill unlimited brews from a massive line-up that ranges from 21st Amendment to Boone Brewing Company and Southern Tier. Amazing food's available too, from samosas to frog legs. Beats the hell out of a magazine and some Handi-Snacks, doesn't it? 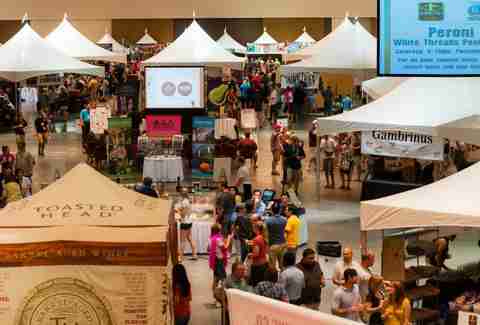 Saturday's BrewHaHa is the main event of this three-day Gulf Coast brew fest with educational -- but fun! Because beer is fun! -- seminars and the "Taste It First" series, which debuts a huge line-up of beers that are about to hit the market. That's in addition to the 400-plus list of international craft samples. The event also attempts to class-up the pub crawl on Friday night with beer experts at Galveston's best beer bars. This wild rumpus gets rid of kegs or even official brewers and invites funky-ale-loving drinkers to provide the beer for the bi-annual fests. 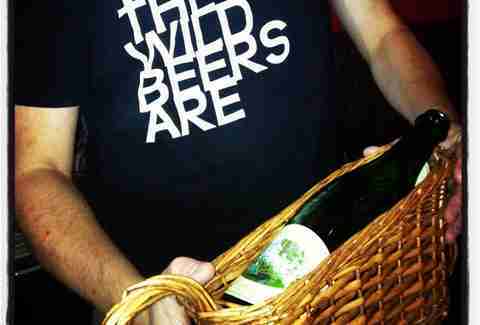 Every 750ml bottle of sour, wild, or farmhouse beer you bring can be traded in for 10 drink tickets. Generous drinkers with hard-to-nab bottles can get extra pours. Wolf costumes are optional, but recommended. 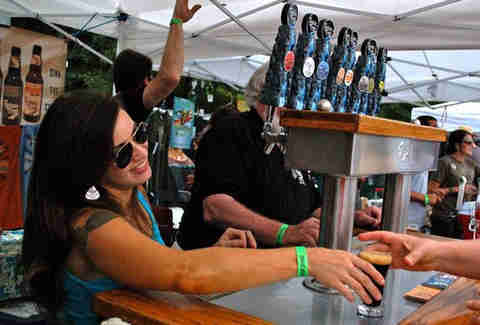 Oregon throws its own midsummer suds fest each year so it can remind the other, less-fortunate 49 that it has enough craft breweries to share two with each state. 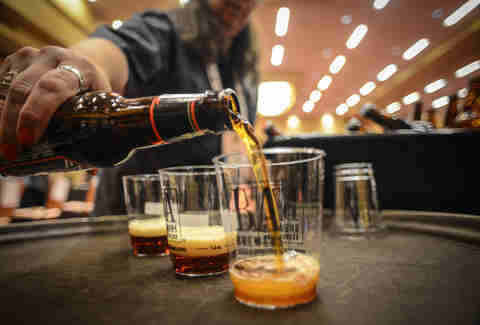 In 2013, the 26yr-old event expanded to five days to accommodate the 80,000 beer lovers that flood Stumptown to sample 82 local and national breweries' wares, which range from one-off brews to perennial favorites. The styles here are vast -- sessions, Belgians, and pilsners live in harmony at this waterfront throwdown. Like a college student un-tagging Facebook pictures before a job interview, beer dresses fancy for the gold standard of festivals. After five years in DC, the Spring bash's 76 brewmasters and 39 beer styles migrated to New York for one year only, with a two-night long extravaganza with nary a beer pong table in sight. 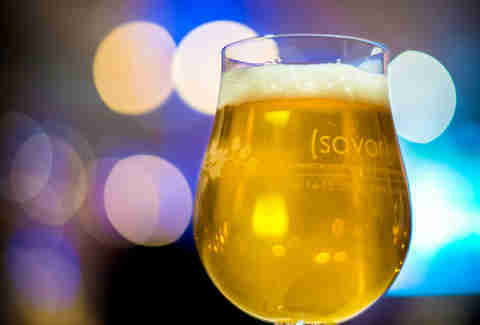 The event stands out with its in-depth, limited-attendance salons -- they range from a talk and tasting of experimental hops to a cellar-aged tasting -- and extensive chef-designed pairing menus for a huge array of the weekend's beer offerings. Washington State boasts one of America's largest hop crops, and this beer-drinking party honors that claim to fame. Fresh-hopped beers are made with hops that have been picked within 24hrs of brewing. Every keg tapped at this October festival features that fresher, lighter taste -- not the bitter IPA taste you associate with hoppy beers -- and is brewed in early Fall at the peak of harvest. Liz Childers is a food/drink editorial assistant at Thrillist. She prefers her vegetables with bacon fat, her chicken fried, and her ramen with a bowl of extra chili paste. Follow her @lizchilders1.